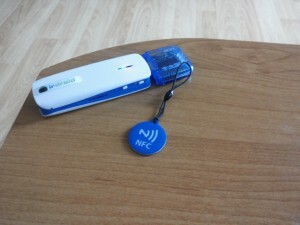 - Execute a macro by tapping a NFC tag to your device. 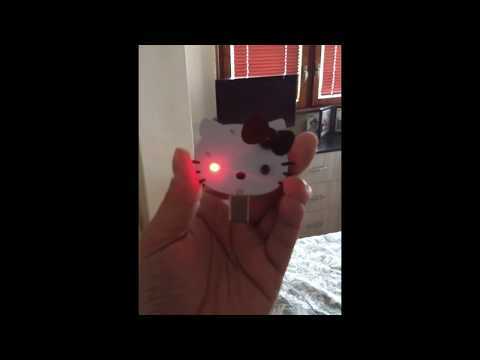 - Turn on/off LED IR controlled lighting, adjust LED colors etc. 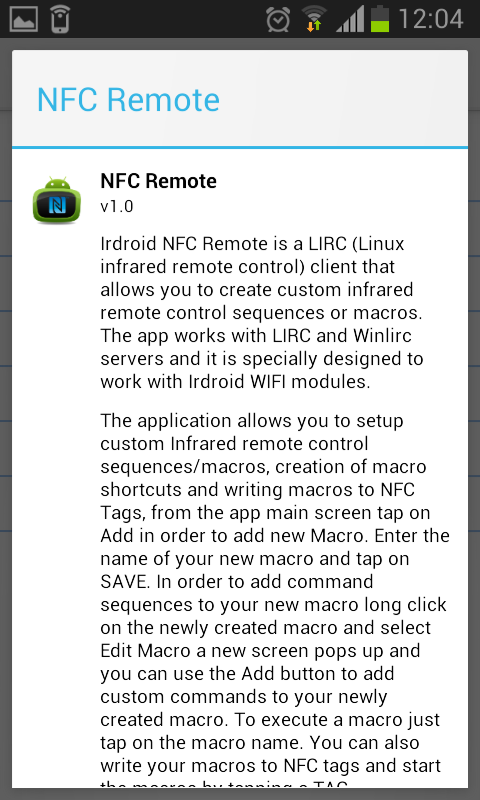 The application allows you to setup custom Infrared remote control sequences/macros, from the app main screen tap on Add in order to add new Macro. 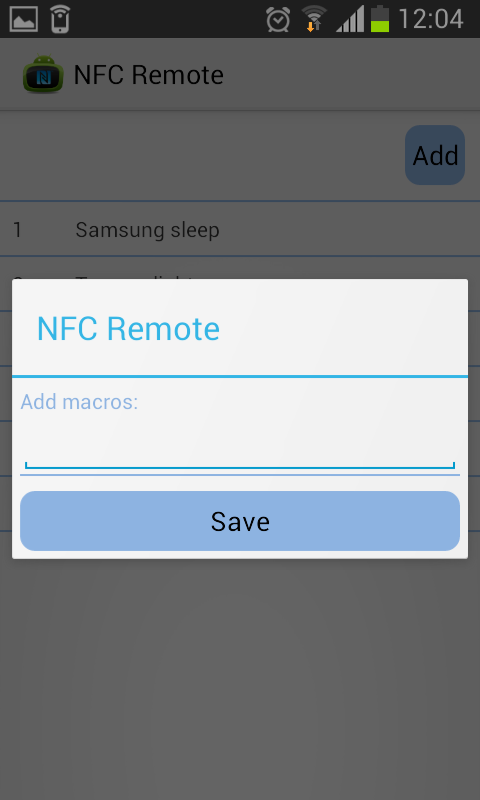 Enter the name of your new macro and tap on SAVE. In order to add command sequences to your new macro long click on the newly created macro and select “Edit Macro” a new screen will pop up and you can use the Add button to add custom commands to your newly created macro. 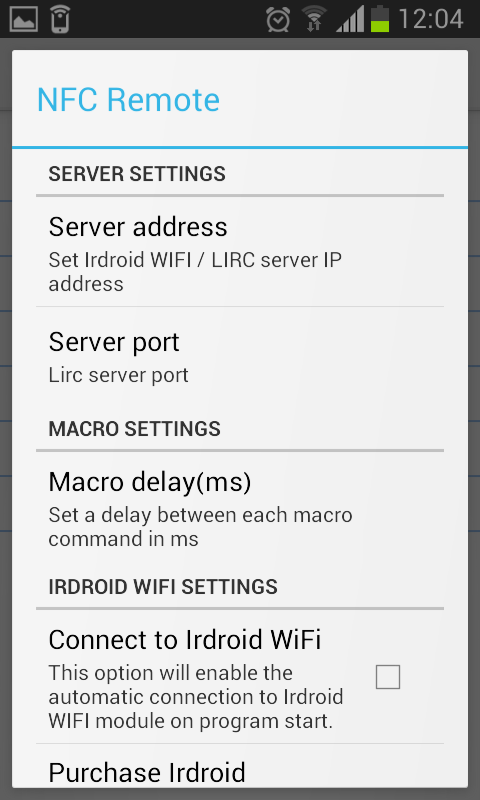 To execute a macro just tap on the macro name. 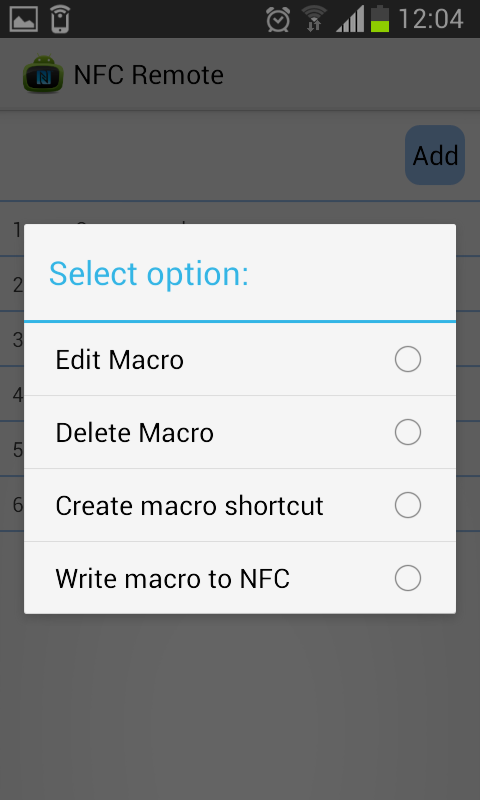 After you create your new macro you may create a custom shortcut to the macro by long tapping on the macro name from the list of macros. Tap on Shortcut and a new shortcut to your macro will be added to the home screen. 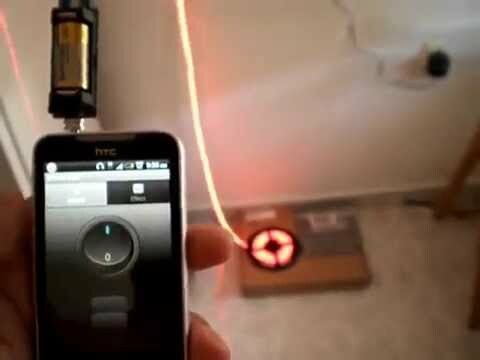 Executing a macro from a shortcut is a matter of just tapping on the shortcut. The application is open source, licensed under GNU GPL v2.0 . 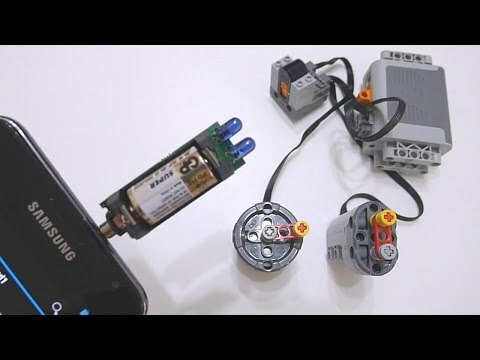 You are free to distribute, modify and use for commercial purposes. 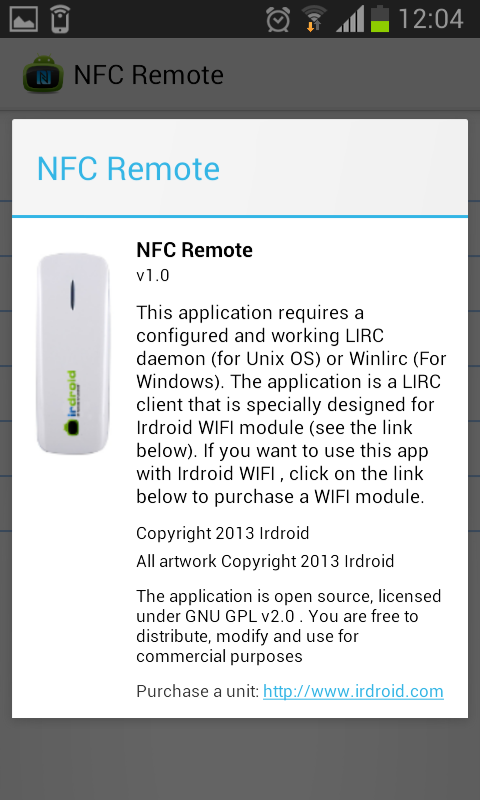 You can read more about this application by visiting https://www.irdroid.com .